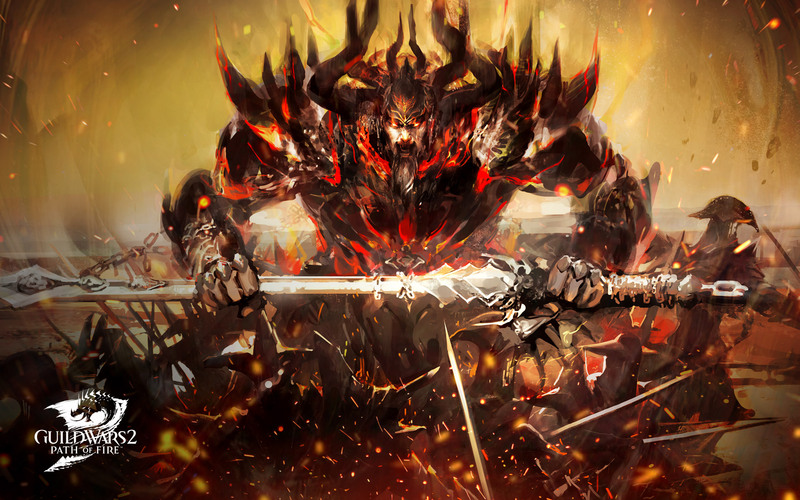 From October 25 to November 4, we’re melting the price of Guild Wars 2: Path of Fire by 50%! * Use the code PGW50 at checkout when you purchase the expansion from our official site. *Offer applies only to Guild Wars 2: Path of Fire Standard Edition, Guild Wars 2: Path of Fire Deluxe Edition, Guild Wars 2: Standard Collection, and Guild Wars 2: Deluxe Collection purchased through buy.guildwars2.com from 9:00 a.m. Pacific Time October 25, 2018 through 11:59 p.m. Pacific Time November 4, 2018. To redeem, promotion code must be entered at checkout and is valid for one-time use only. This offer is not valid toward prior purchases. Offer may not be combined with any other coupons, discounts, offers, or promotions. No substitutions and no rain checks issued. Other restrictions may apply. Cash Value 1/10¢.